Recently, the city of Karachi saw hundreds of patients being admitted in hospital with complain of high fever and severe joint pain. This mystery health disorder has reached to epidemic proportions specifically in the area of Malir, Karachi. After the health department and experts failed to diagnose the mysterious disease, blood samples were taken from the patients and sent to laboratory in Islamabad. The medical experts confirmed this as a viral infection called Chikungunya. Chikungunya is an alphavirus, typically found in Africa and Asia, including India. It is an RNA virus with positive-sense single stranded genome. The virus is transmitted from mosquitoes to humans mostly but other modes of transmission include vertical transmission i.e. from mother to child during pregnancy or at birth, transmission via infected blood products or through organ donation. Other symptoms may also occur, including headache, fatigue, digestive complaints and conjunctivitis. Adults are susceptible to arthritis, which causes early morning pain and swelling, most often in small joints. Chikungunya fever may result in a chronic phase as well as acute phase. In acute phase, the first five to seven days, virus enters the bloodstream and has access to rest of the body. This is followed by convalescent stage lasting for approximately ten days, in which the symptoms improve. The disease begins with sudden onset of fever which lasts for a few days to a week. The fever is usually above 39°C and sometimes reaches to 40°C. After the fever, strong joints pain and stiffness occurs, this usually lasts for a week or months. The most affected joints are of both arms and legs such as the wrists, ankles, shoulders, elbows, knees etc. 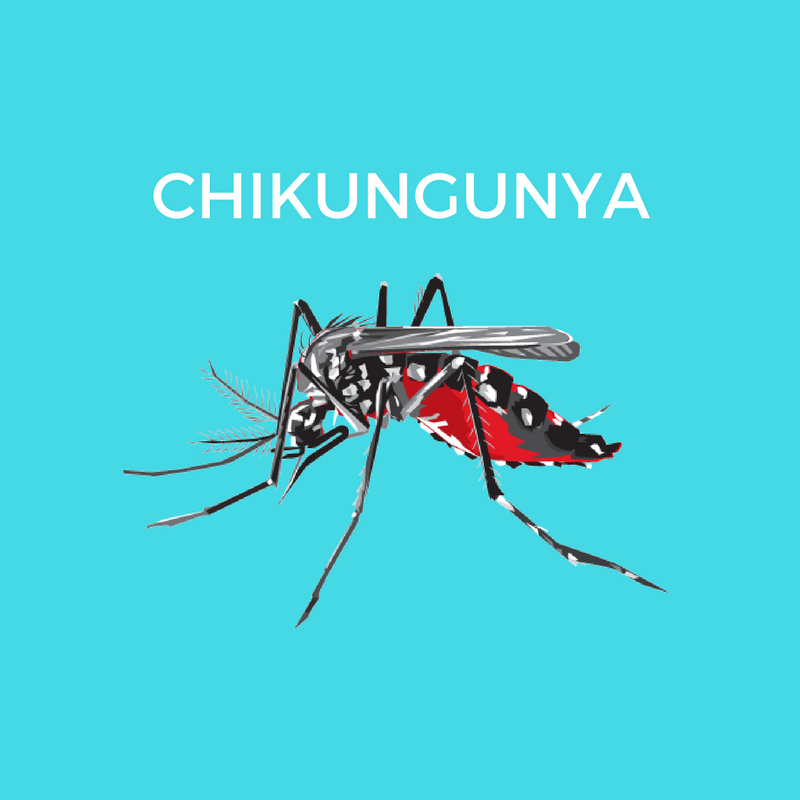 Chikungunya is diagnosed on the basis of clinical and laboratory findings. The typical symptoms lead to suspicion of Chikungunya which is confirmed by laboratory findings. The doctors or health care providers usually order the blood test to confirm diagnosis. Laboratory criteria include decreased lymphocyte count consistent with viremia. A definitive laboratory diagnosis can be accomplished through viral isolation, RT-PCR, or serological diagnosis. No specific treatment for chikungunya is available. Patients are usually given symptomatic treatment for fever and joint swelling like NSAIDs (non-steroidal anti-inflammatory drugs), analgesics such as paracetamol and fluids. The most efficient way to stay protected is prevention from the disease carrying mosquito. Mosquito control focuses on eliminating the standing water where mosquitoes lay eggs and develop as larva. Insecticides or biological control agents should be sprayed in communities. In order to minimize contact with mosquito, full sleeves clothes should be worn, dark colored clothes should be avoided, insect repellents should be applied. As infected mosquitoes often feed and rest inside homes, securing screens on windows and doors will help to keep mosquitoes out of the house.